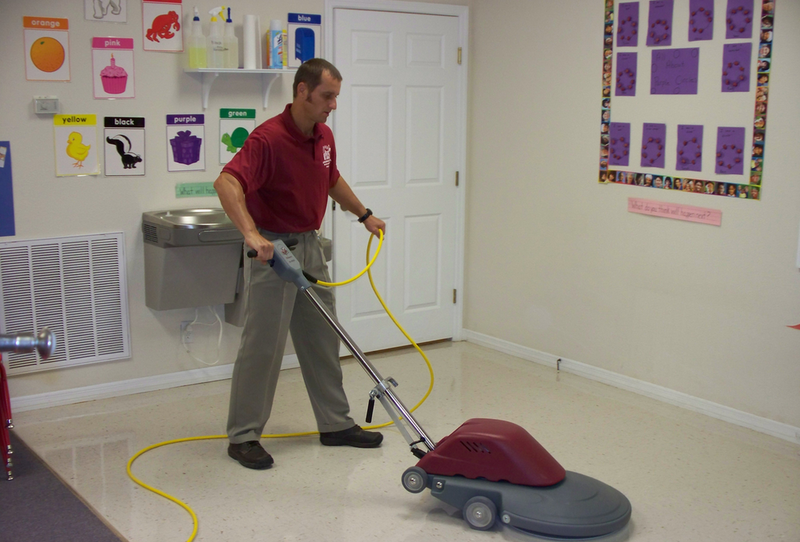 VCT Strip & Waxing / Sealing – Amazingly Clean, Inc.
What is VCT? Well some call it Vinyl Composite Tile while others call it a “money stripper” in the commercial world. Why? Because it’s needing maintenance constantly so that’s where we come in. The process for restoring it is somewhat long, involved, time consuming, costly and not even attempted by some staffed janitors in their facilities. We have the proper equipment to not only strip / re-coat thousands of square feet, but do it before the store opens next business day. When you hire us, we can move the items, strip the old finish, provide the new urethane coatings and make it shine! 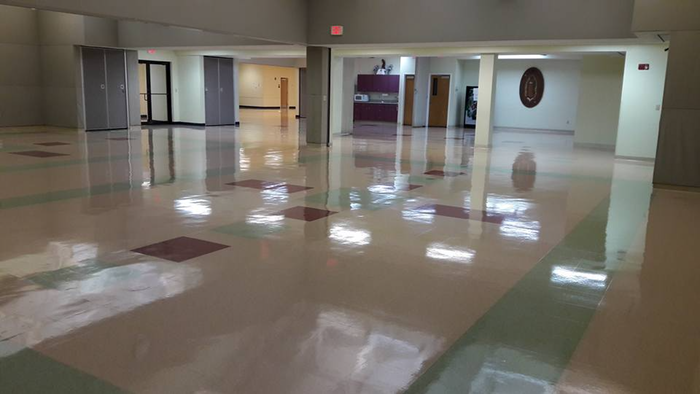 We can even maintain your amazing high gloss shine with our complete Janitorial Services. What was once that old scratched, yellow, dirty, rusted, mildewed and sometimes oily VCT floor now shows like a work of art you would have to see to believe! Check out our successes by viewing the photo gallery, testimonials on-line or ask us for letters of recommendations from our vendors. You will be able find out why they keep calling us back year after year. So, what are you waiting for? Let us get to work for you so we can “amazing you”. are done by hand with scrub aid tools or razor blade removal. 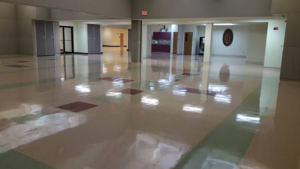 Apply New Finish: With clean applicator apply high gloss 25% solids commercial Urethane Finish product. Re-coats with dry time of 45 minutes between coats. I have been using Amazingly Clean, Inc. for a few years now. I have found them to be consistently pleasant and hard working. Besides being a pleasant person the owner of Amazingly Clean, is very knowledgable about the equipments and products he uses, and has been upfront and honest about any cleaning needs. I highly recommend Amazingly Clean for their cleaning services. We have used the services of Amazingly Clean, for at least Three Years. They have always been very reliable. The owner does Excellent work, we have never been disappointed with the results. A great job for fair price. The owner has keys to our place because he has proved to be trustworthy and always professional. We would Highly recommend Amazingly Clean to anyone.